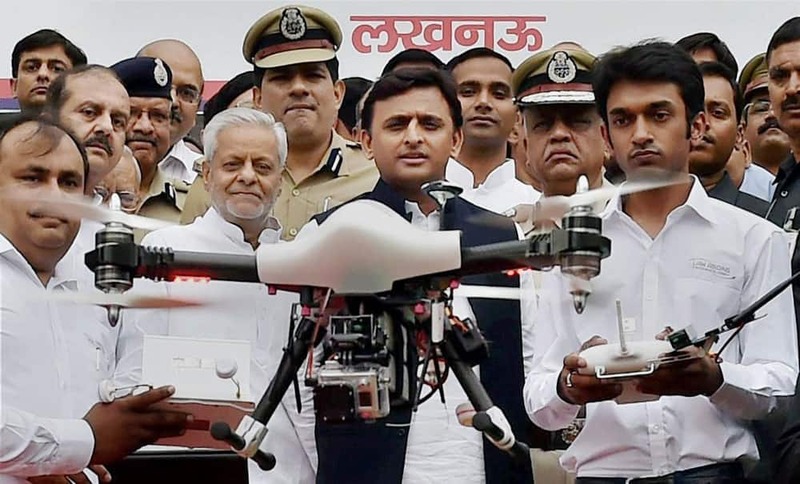 Uttar Pradesh Chief Minister Akhilesh Yadav with Senior Superintendent of Police (SSP) Yashasvi Yadav(left) launching drone camera under aerial surveillance project in Lucknow. Mercedes driver Lewis Hamilton of Britain sprays champagne on a track attendant on the podium after winning the Chinese Formula One Grand Prix at Shanghai International Circuit. A concert goer poses for a photo at the 2015 Coachella Music and Arts Festival. 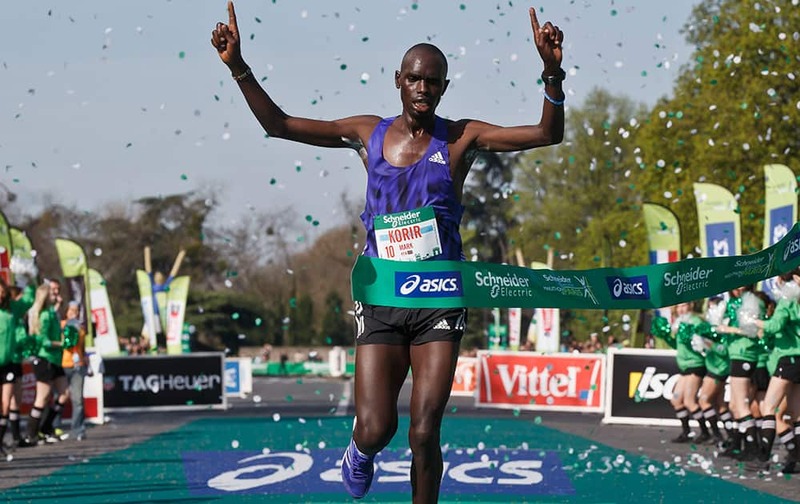 Mark Korir of Kenya, crosses the finish line to win the 39th Paris Marathon men's race. 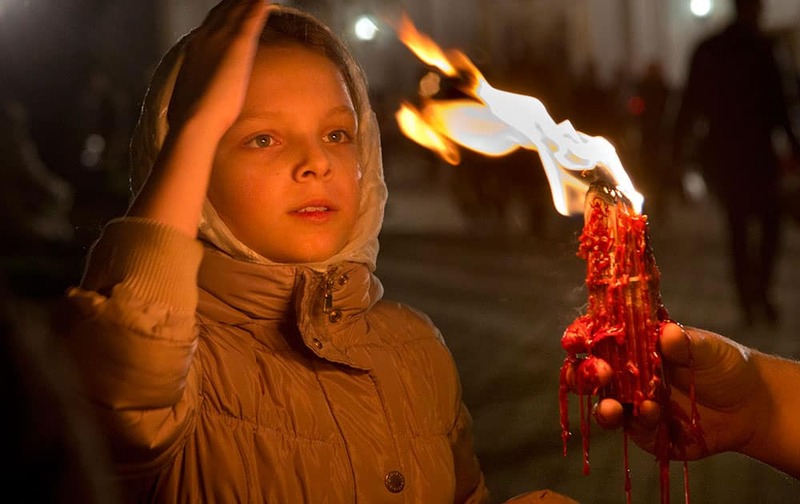 A girl blesses herself with the Holy Fire which was delivered to the Ukrainian capital from the Church of the Holy Sepulcher in Jerusalem's Old City, traditionally believed to be the burial place of Jesus Christ, after the ceremony of the Holy Fire on the Easter service in the Monastery of Caves in Kiev, Ukraine. Andrea Petkovic, from Germany, returns to Angelique Kerber during semifinal action at the Family Circle Cup tennis tournament in Charleston, S.C. 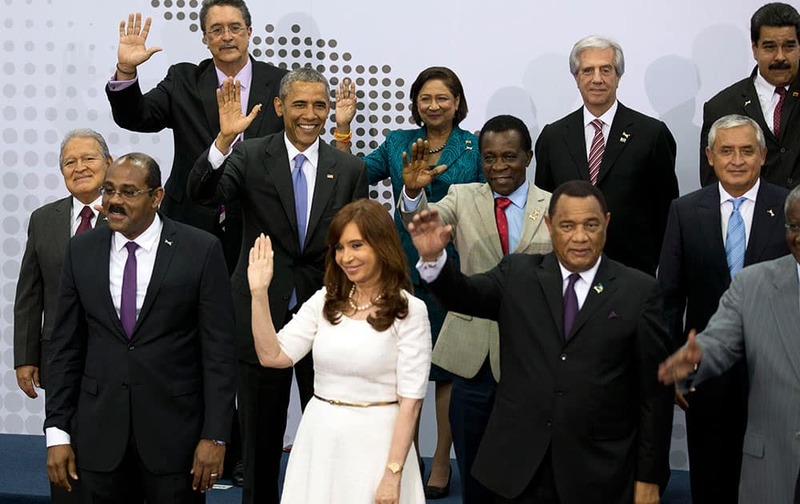 Heads of State attending the VII Summit of the Americas, pose for the official group photo, in Panama City, Panama. 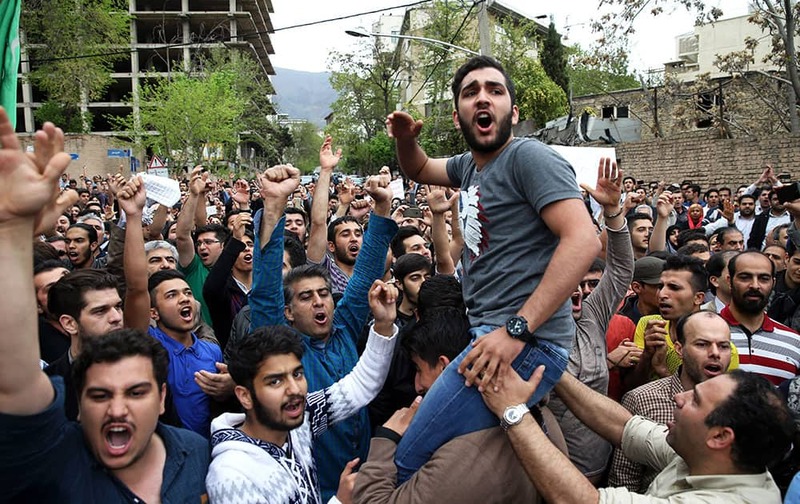 Iranian protesters chant slogans in front of the Saudi Embassy in Tehran, Iran. 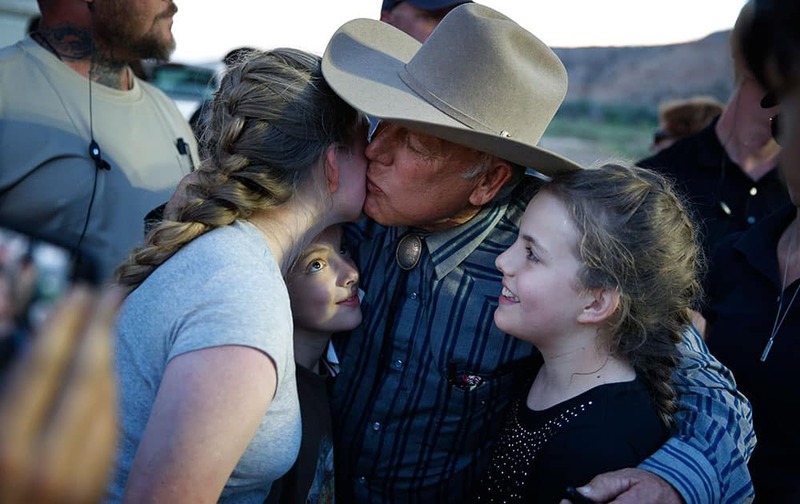 Rancher Cliven Bundy kisses supporter Claudia Riffenburg during an event, in Bunkerville, Nev.
Festival goers Avery Schlereth, left, and Shaellee Hansen enjoy the 2015 Coachella Music and Arts Festival. 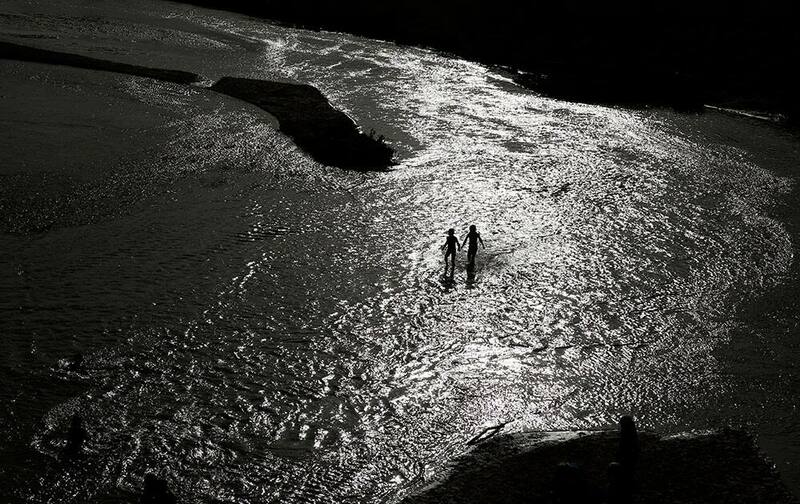 Kids play in the Virgin River during an event hosted by rancher Cliven Bundy. 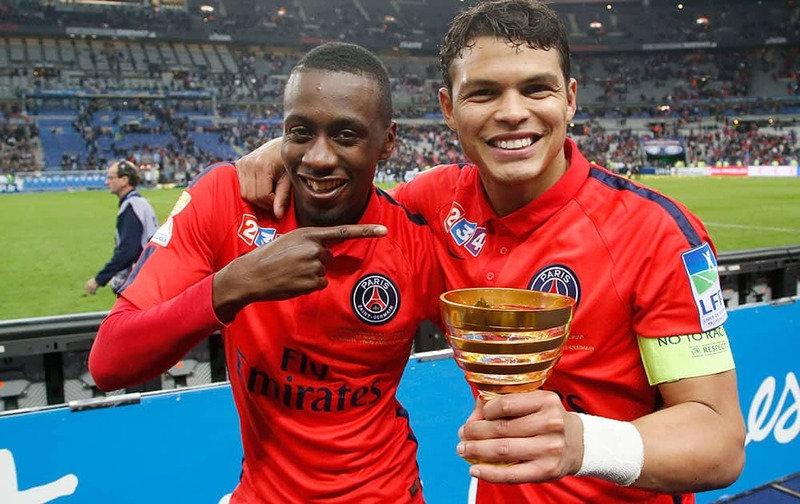 Paris Saint Germain's Blaise Matuidi, left, and captain Thiago Silva, right, pose after their League Cup final soccer match against Bastia at Stade de France stadium in Saint Denis, outside Paris, France.